So as we previously announced Cy Dethan, Nic Wilkinson, Steve Penfold and Gat Melvyn are currently working on the very first Unseen Shadows graphic novel Blood Cries Out. Not to be left behind the creative team behind the Kathryn Monroe adventure Historia which featured in the anthology Tale of the Forgotten are returning with their own graphic novel entitled The Chimera Factor. 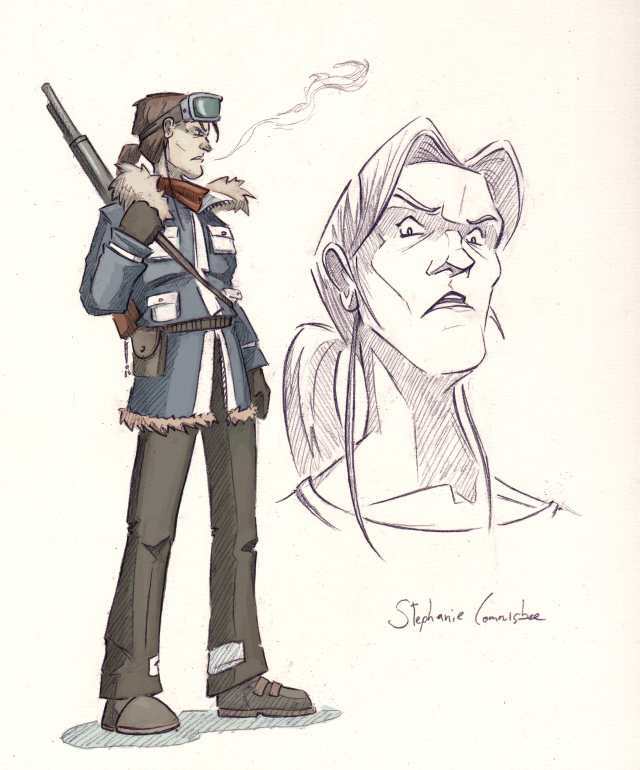 The story which stars ex navy pilot Stephanie Connisbee who we last saw in the comic one shot Operation Solomon, which was part of the Tales of the Fallen anthology. The tale written by Richmond Clements, with art by Alex Moore and letters by Paul Mclaren which sees Steph on the hunt for a secret weapon and uncovering a grand conspiracy with global ramifications in the process. Although this will be a stand alone story, like all the Unseen Shadows projects, in terms of a timeline the story will be set after the Fallen Heroes novel. Richmond is currently penning the script and Alex is putting together some early sketches of the characters. Just to whet your appetite I thought I would kick things off with a full colour sketch of Steph. We don’t have a release date as yet but keep an eye on the website for more details.